You are here: Home / Blog / What is the Cost of IVF in India? What is the Cost of IVF in India? What is the Cost of IVF in India is probably one of the most searched term by childless couples in India who are considering IVF treatment as an option. 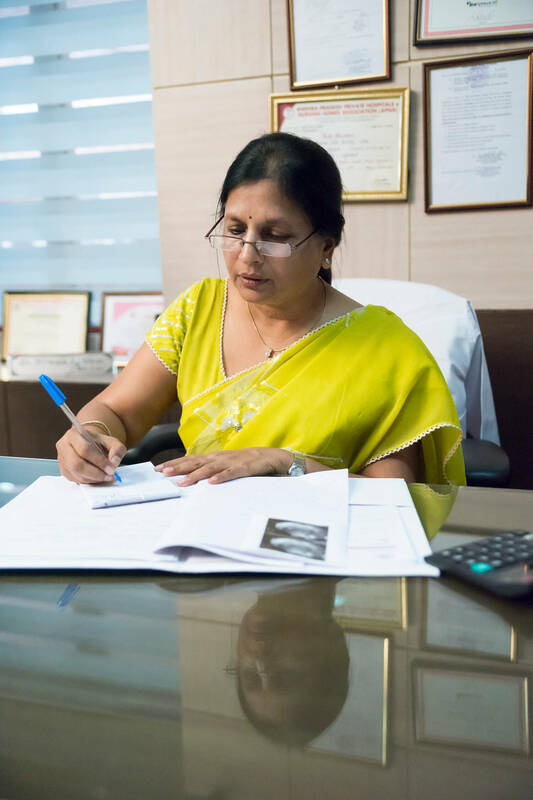 And there a rise in persons online searching for “Cost of IVF in India” – primarily due to increase in number of infertility cases, the rise in internet as a fact finding tool and mystery around the true cost of IVF in India. IVF or Invitro Fertilization is a treatment not yet covered under health Insurance in India. This is leading to indiscriminate pricing of IVF treatment in India with IVF clinics charging based on there whims and fancies. Sometimes within a city you will notice a wide range of the cost of the IVF treatment in similar IVF treatment clinics. With no standards being followed and no agency to publish the comparable costs – the childless couples are left to with nothing else other than to turn to Google. In this article we will be decoding the costs of IVF treatment for the benefit of childless couples. The average Cost of IVF in India at Dr. Nirmala’s Juhi Morpheus Fertility Center starts at Rs. 65,000 for one cycle while the ICSI cycle costs Rs. 75,000. Considering that most patients need two or more cycles it is always advisable to go for Two Cycle IVF Treatment Procedure which costs Rs. 90,000 for IVF and Rs. 100,000 for ICSI. If you consider the the average success rates of ART the Two-Cycle packages give option for second cycle if the first cycle does not lead to clinical pregnancy at no additional cost. What are the additional Costs for IVF treatment? In most of the clinics in India the IVF treatment does not includes additional charges such as Drugs, Extended Hospitalization, Additional Clinical Support, Additional Tests which will be additional to the base cost IVF treatment in India. There are websites that indicate Cost of IVF in India to be very high (starting 2,50,000 per cycle). Whom to believe? There may be few clinics and hospitals having such rates (although there is no reason to justify that). The website that indicate such rates usually dissuade the couples to go for IVF and settle for some alternative therapy. The readers can make their own judgement by looking at the motive behind indicating such a higher price. How the Cost of IVF in India is comparable to cost in other countries? India offers of of the lowest cost of IVF treatment and is one of the most saught after medical tourism destination for patients looking for IVF treatment. For foreign patients the cost of Once cycle of IVF in India is approximately USD 2500 to 3000. This compared to cost of same treatment in USA which starts at USD 120000 – is just a fraction. Considering that the IVF treatment runs for multiple cycles – it makes sense to come to India for IVF treatment as the cost of IVF treatment is much lower in India. What is the Cost of IVF in India for foreign patients? Cost of IVF in India for foreign patients or Non Resident Indians (NRIs) may differ. However the cost of IVF treatment in most clinics for the foreign patients will be starting around USD 2500 per cycle. Why the cost of IVF is low in India? One of the key question in the minds of foreign patients is why the cost of IVF is low in India? Is it that the care is poor or they use the inferior technology? The key reason for lower cost is the lower cost of healthcare staff like Doctor’s and Nurses. Not only IVF treatment – other treatments like surgery are also offered at a low cost in India. Is it possible to know the cost of IVF treatment at a clinic before meeting? Yes. If the IVF clinic is reputed and transparent – they will have the price list at the website itself (like we display for our clinic the cost of IVF treatment in Hyderabad India) or will send you by email. If the clinic does not provides you with a transparent costs – you should be asking for the same as knowing the cost of a treatment before it is your right.